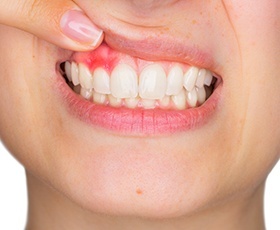 Did you know that gum (periodontal) disease is one of the most common health problems in the world, not to mention the leading cause of adult tooth loss in the USA? Over half of our population is suspected to suffer from this dangerous infection, and many don’t even realize it. 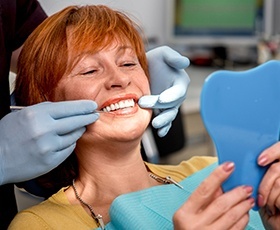 Here at Davidson Dental Associates, we always provide an in-depth periodontal screening during each regular checkup and cleaning so that we can discover harmful bacteria right away. Better yet, our in-house periodontist Dr. Winson and our talented hygienists can provide high-quality therapy if gum disease is discovered to correct the damage and restore your smile’s full health. We’re proud to offer a comprehensive variety of services in one convenient office location here in Washington, D.C. – contact us today to schedule a consultation! This in-depth cleaning will target accumulations of plaque above and underneath the gum line. Our team will also smooth the rough surfaces of your tooth roots, which are prime targets for infectious bacteria. Laser periodontal therapy combines the benefits of traditional gum surgery with the precision and comfort of state-of-the-art laser dentistry! During this process, the focused LANAP wavelength will remove diseased gum tissue while leaving healthy structure safely intact. It will even encourage the growth of new tissue. Patients can expect to experience only minimal post-operative symptoms and a much faster healing process. Antibiotic therapy is typically used in conjunction with the above two services. The medication will either be ingested or directly applied to the periodontal pockets. Our goal is to eliminate any remaining bacteria in the area to ensure the most successful results possible for our valued patients.